At Buckeye Toyota, TRUST is what we’re built on. Buckeye provides a different kind of buying and servicing experience to benefit our valued customers. Transparency in the way we do business. Honest practices, outstanding reviews, and dedicated professionals who care. Respect for you and your time, as well as our community. Every day, in every way. Understanding the details of your life and automotive needs. Speed with sales and service that never compromises quality. Teamwork from everyone in the Buckeye Toyota family that delivers excellence. The Buckeye Automotive family has been serving our community for over 40 years. Performing your Toyota oil change at factory recommended maintenance intervals is a great way to keep your Toyota running great and maintain its value. 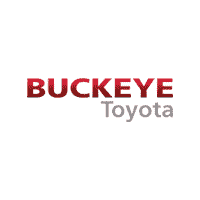 At Buckeye Toyota we use Genuine Toyota Motor Oil formulated to help protect against corrosion, prevent foaming and maintain proper application of oil on cylinder walls. Need an oil change for your Toyota? Our Toyota-trained technicians right here in Lancaster at Buckeye Toyota can quickly perform this service for you. Schedule an appointment with Buckeye Toyota. Don’t get stranded, come in for an included battery inspection. Set front and rear wheel caster, camber and toe-in on applicable vehicles. Set all specifications to achieve proper thrust and centerline angles. Inspect steering linkages and shocks. Check tire pressure and tire wear.